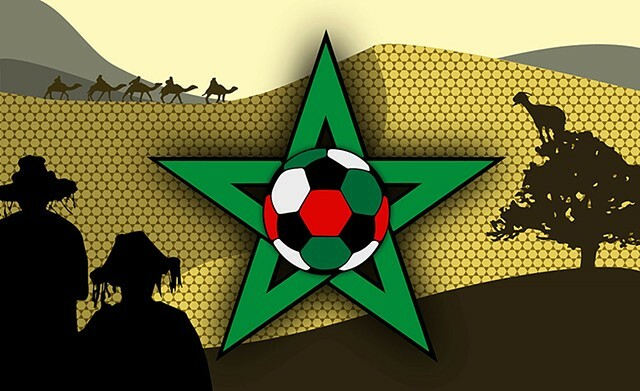 The green star can be seen on the Moroccan flag and the colors in the soccer ball are the colors in the flag. The odd goat in the tree is commonly seen in Morocco. The goats climb onto to the argon tree to eat the fruit (where we get argon oil). The figures on the left are the men who wear traditional costumes and sell cups of water to passersby. The camel train is a common sight in the Moroccan desert. The star pattern in the background is inspired by Moroccan tiles.